← Summertime= Decks on Decks on Decks! 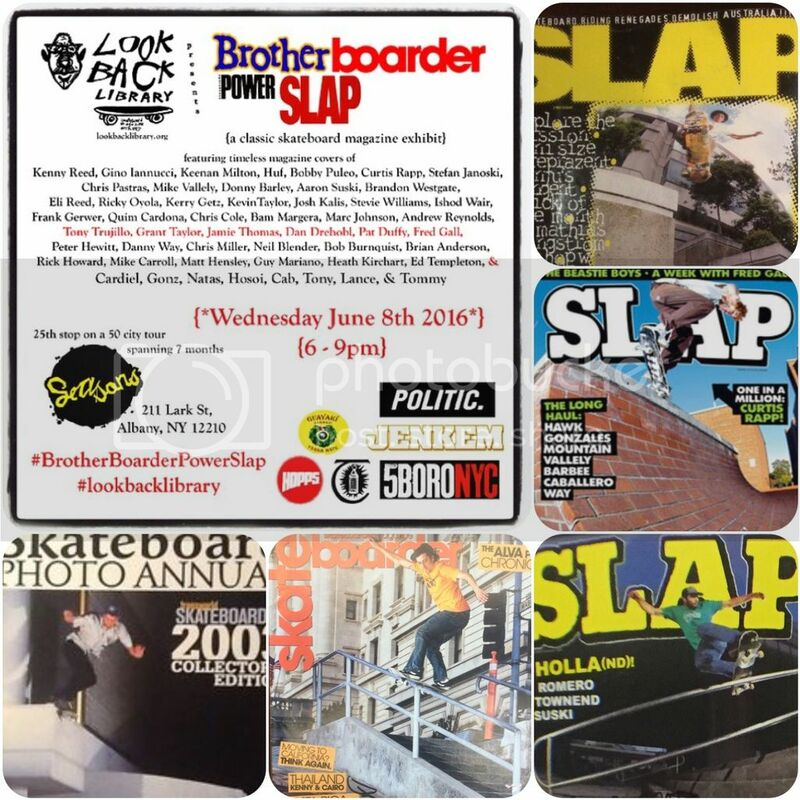 On 6/8/2016 from 6-9pm we’ll be hosting the #Lookbacklibrary come take a walk down memory lane with some old Thrashers, Big Brothers, & Slap Mag! Enjoy a frosty beverage on us while they last! This entry was posted in Featured, News and tagged Albany Seasons, Look Back Library, Seasons Skate Shop, Slap Mag, Thrasher. Bookmark the permalink.